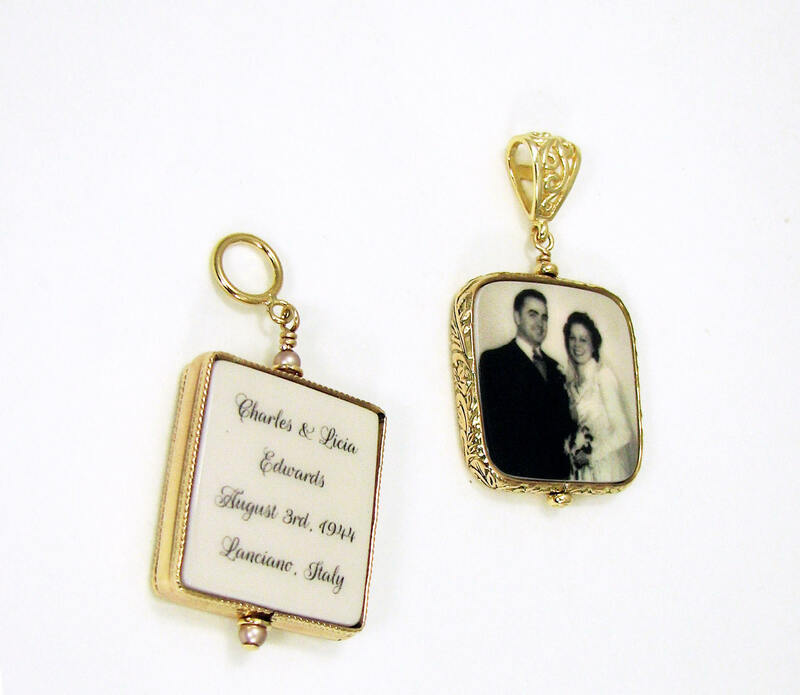 These beautiful bouquet charms are framed in 14K gold -filled bezels. 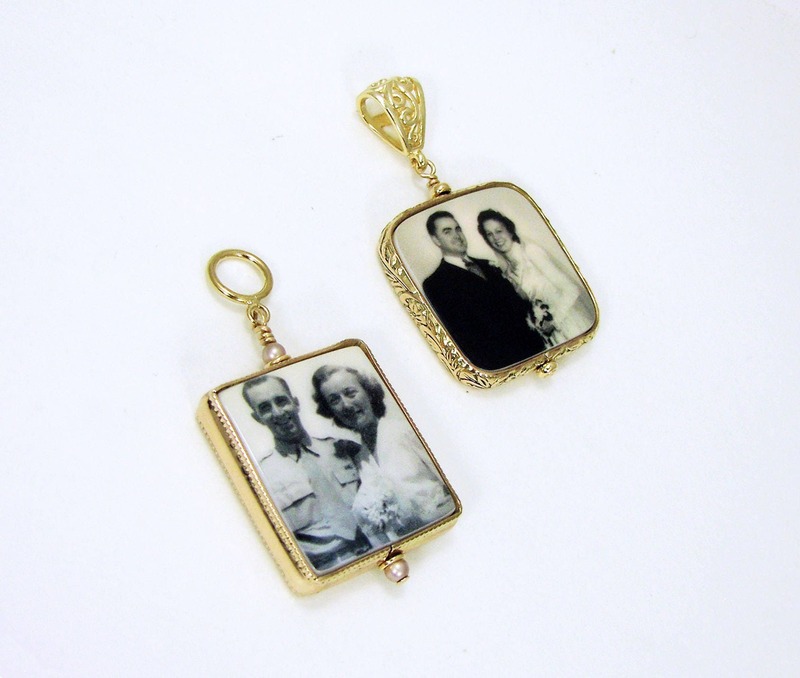 Both are medium (1") photo tiles that make stunning bridal bouquet charms, or pendants. 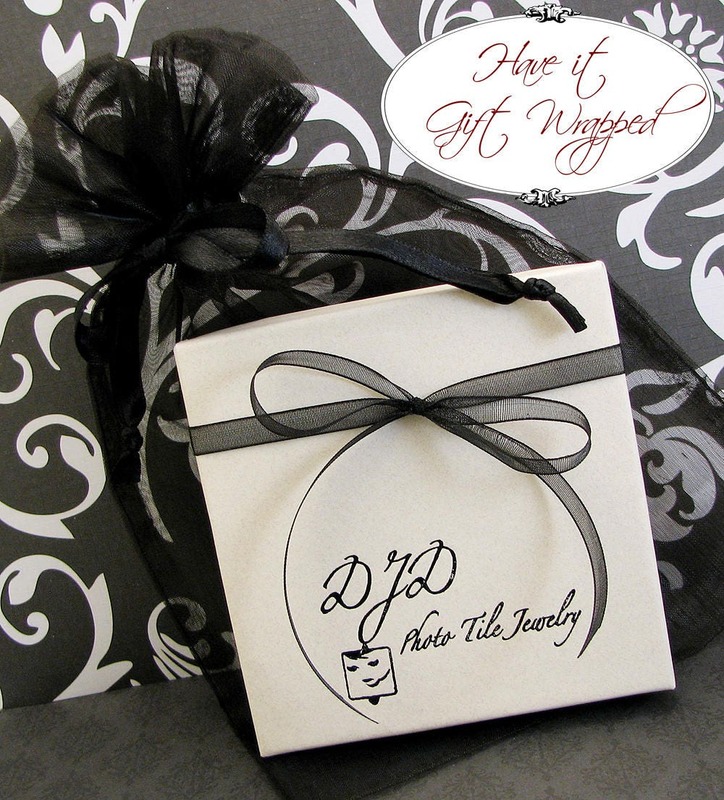 One has a Floral Frame, rounded corners, and a Fancy Bail with a opening large enough to accommodate most clasps. The other with a Fluted Frame, and a large ring. This listing is for two photo tiles and the price reflects a quantity discount. If you are interested in a different quantity simply request a quote.